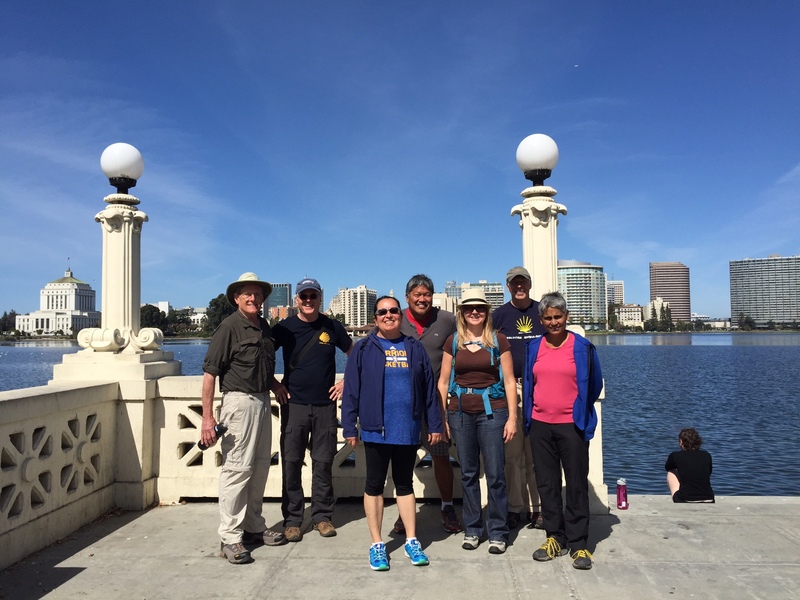 On Saturday, September 5th, a small gathering of Northern California Peregrinos met at Oakland’s beautiful Lake Merritt for a stroll and Camino camaraderie. This was my fifth time on one these walks that occur on the first Saturday of the month, rain or shine. I always enjoy seeing familiar faces and meeting new people who are as interested in the Camino de Santiago as I am. Here’s an iMovie with photos and videos I took during the walk. More photos below. This month’s walk had a leisurely pace, as we stopped a few times to admire the surroundings and take group photos. I tend to be a fast walker, but when I am not in a rush, I like to marvel at nature and snap photos of scenes that intrigue me. At one point I fell so far behind that I thought I’d never catch up with the others. I was pleasantly surprised when the group had stopped to wait for me. Emilio, one of wise and experienced Camino walkers, said “that’s a good habit.” I asked, “What, waiting for fellow pilgrims?” He responded, “No, taking photos! I wish I had taken more while on my Caminos.” Then Mike chimed in about seeing a chain of caterpillars connected together and moving like big long train, somewhere west of Pamplona. Escaping the bulls, I presumed, at their own pace. Fortunately Mike took a photo of this phenomenon. Look for the Caminopillars on his blog at fogcityboy.net. 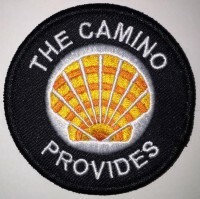 Mike walked the Camino Portuguese in 2014 and Francés in 2015 and had lots of great tips about both routes. I met a nice couple who haven’t done the Camino yet, but plan to walk in 2017 when they will both be retired. Camino stories were shared at the end of our walk under the shade of the pergola. I also had the opportunity to test hiking shoes and a backpack that I am considering for my Camino in May 2016. 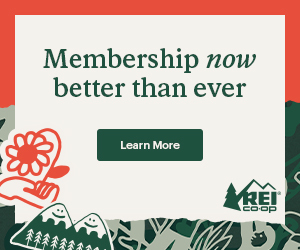 I’ll share this follow-up review of the REI Traverse in a future post. Until then, enjoy the journey, watch the birds, snap some photos, and have a buen Camino! From left: Mike, Emilio, Kitos, Les, me, Bob and Merula. Photo taken by Merula’s sweet daughter, Zara.